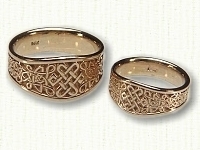 Sides have a Celtic knot pattern. 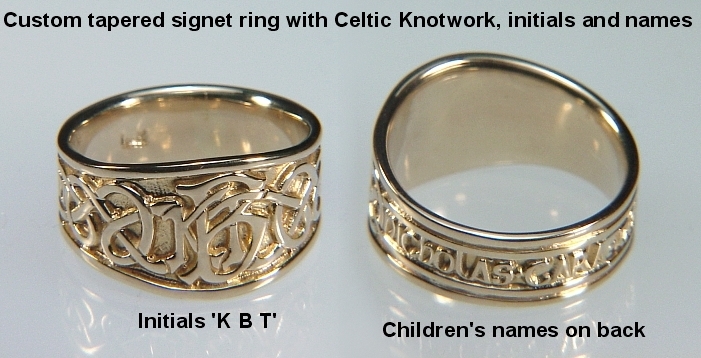 Children's names on the back. 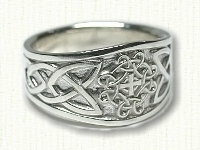 Sides have a Celtic Dragon knot pattern and the back is adorned with a Celtic Love Knot. 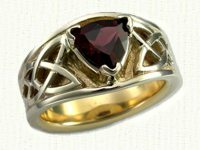 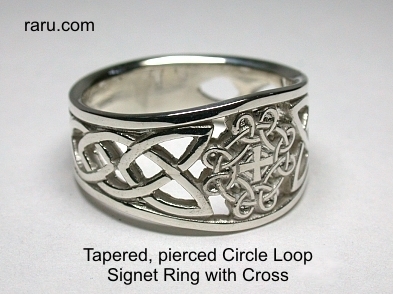 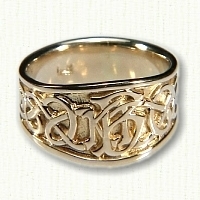 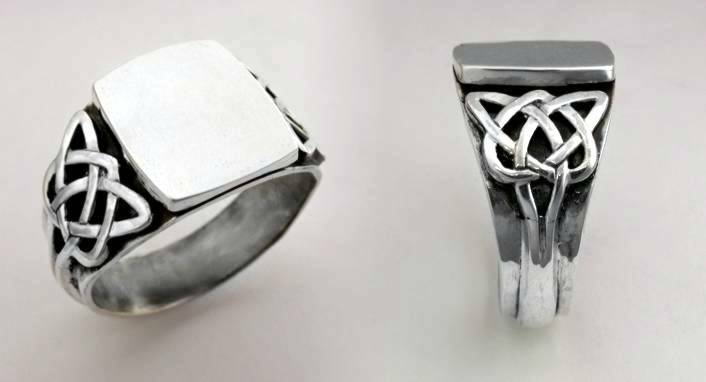 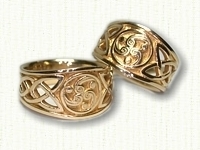 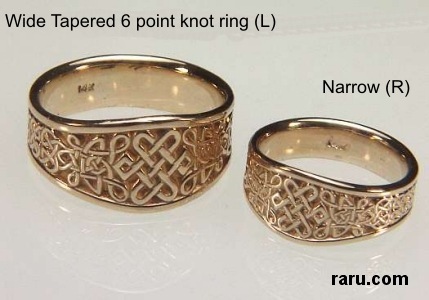 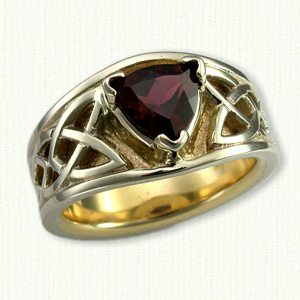 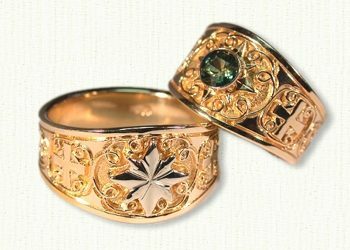 Both rings have matching celtic knotwork on their sides. 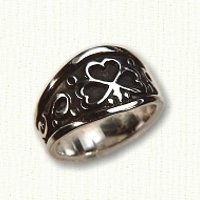 Prices: Finger sizes 5 to 8. 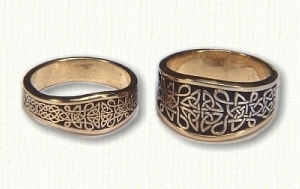 Prices: Finger sizes 9 to 12. 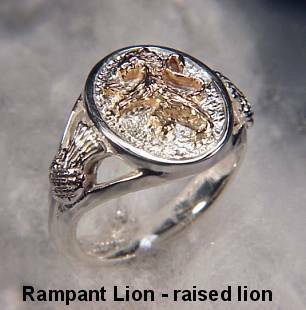 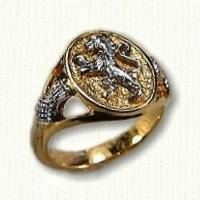 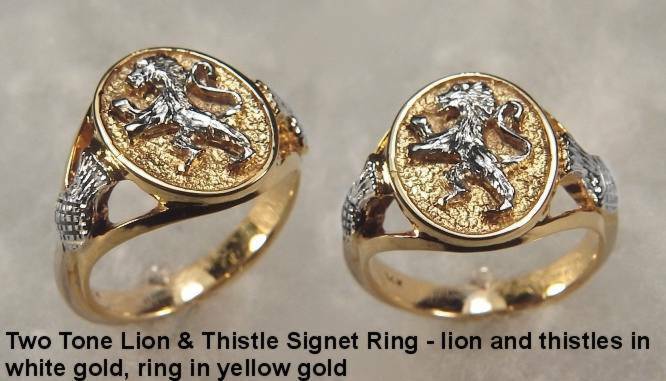 Raised 14kt white gold lion and raised 14kt white gold thistles on each side. 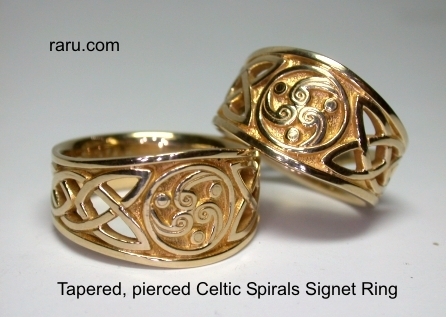 Only available in gold or platinum. 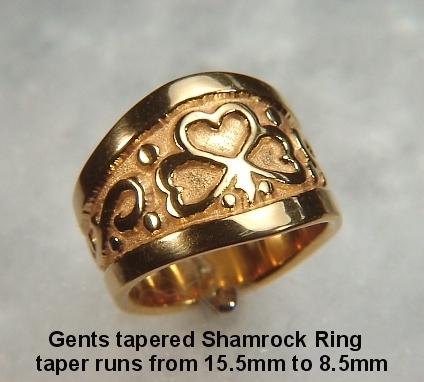 Any size available - 14kt price based on final weight. 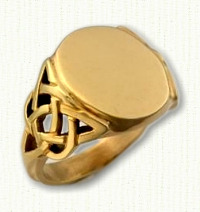 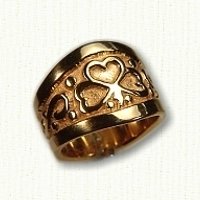 Shown in 14kt yellow gold with black painted antiquing. 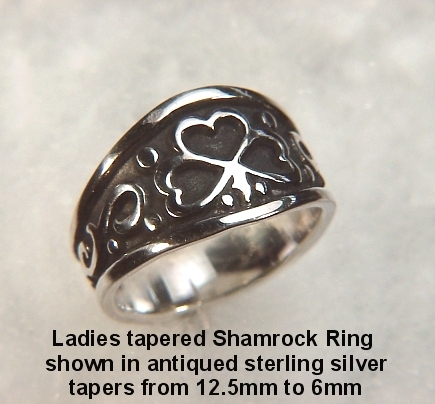 Available in 2 tapered widths either with or without black painted antiquing. 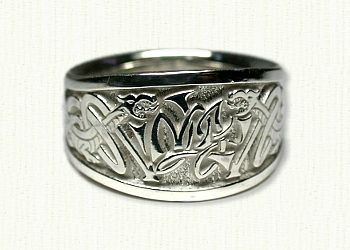 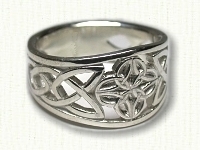 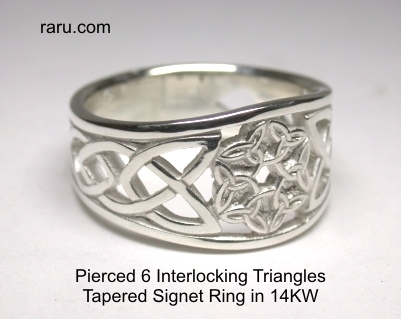 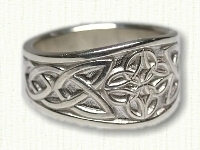 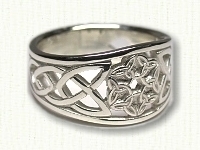 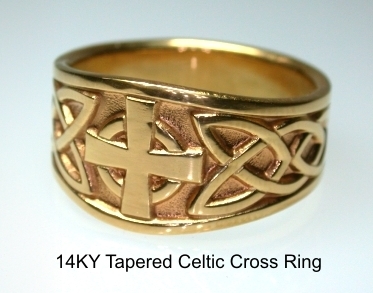 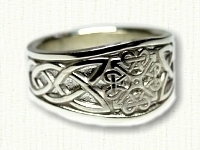 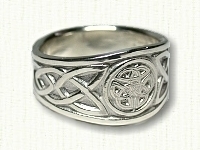 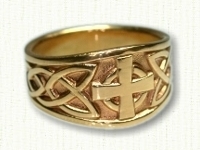 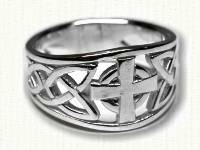 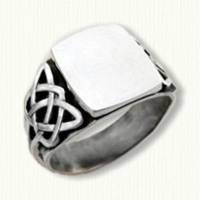 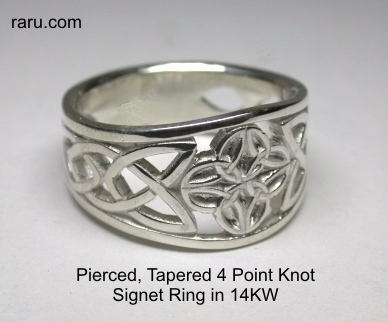 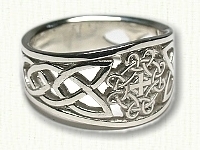 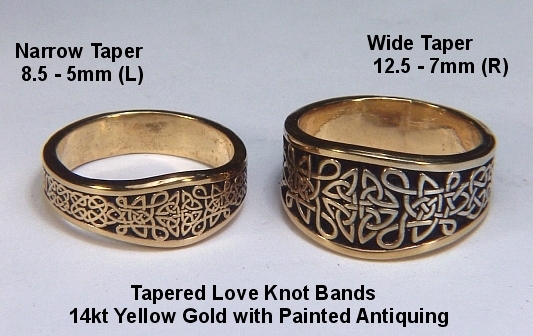 For pricing and size information visit our Tapered Celtic Love Knot Bands page. 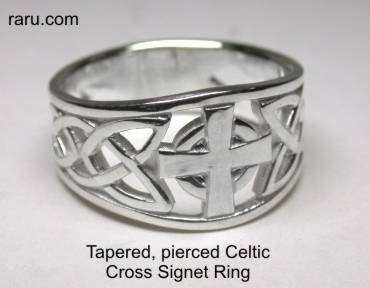 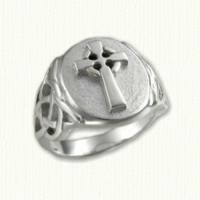 Visit our Custom Monograms Page and Celtic Crosses Page for other ideas.